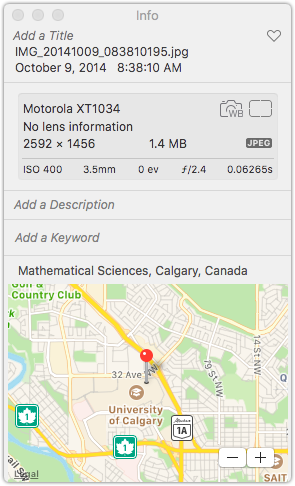 This is a tale of two photos, both, in theory, with location data embedded in their EXIF metadata, but with the manifestation of that EXIF data to the Apple Photos and Preview apps only available from one. 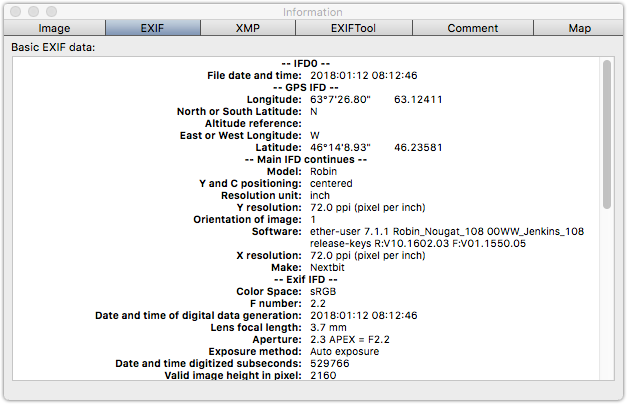 When I run exiftool with -v3, for extra verbosity, on the first image, I can see more details about how the GPS data is being encoded in the JPEG images. 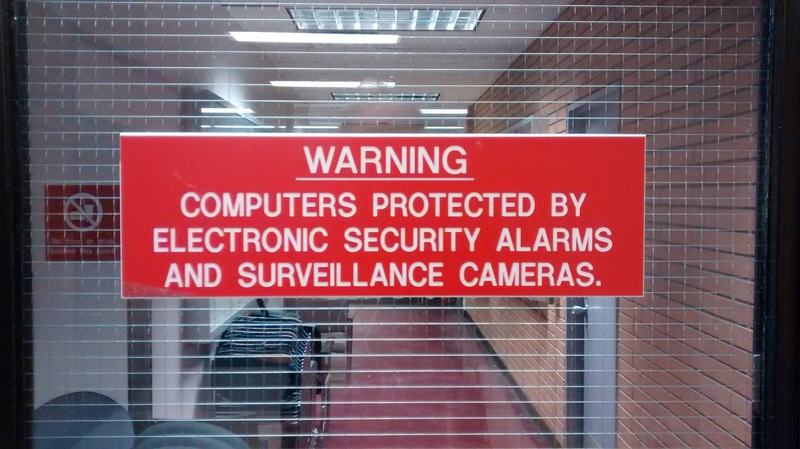 The latitude format itself, and the tag ID, are the same, but the number format in the non-working photo is rational64s while the number format in the working photo is rational64u. # exiftool  24788827667_69d2141fa6_o.jpg -GPSLatitude="46 14 8.93 (46/1 14/1 893/100)"
rational64u is an unsigned rational number, which is a pair of 32-bit unsigned integers. 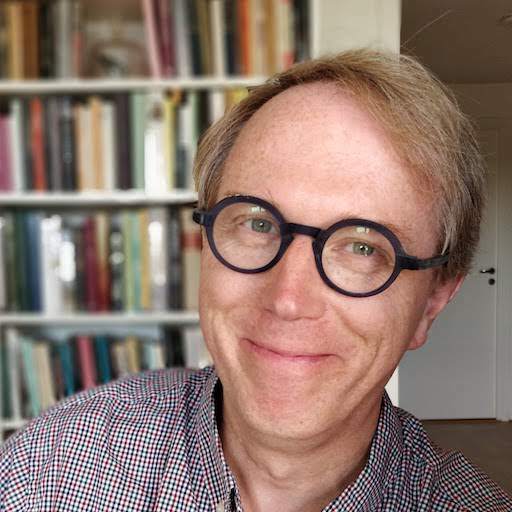 rational64s is a signed rational number, which is a pair of 32-bit signed integers. 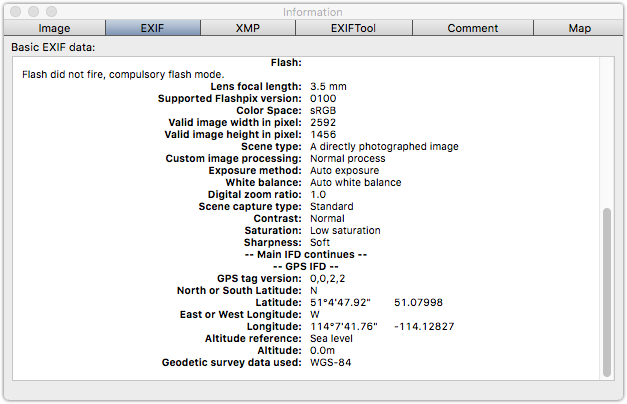 The EXIF standard clearly says that the latitude and longitude values should be unsigned rational values; this makes common sense, as there are, in addition to the GPSLatitude and GPSLongitude values, also GPSLatitudeRef (N or S) and GPSLongitudeRef (E or W) values which obviate the need for the values to be signed. 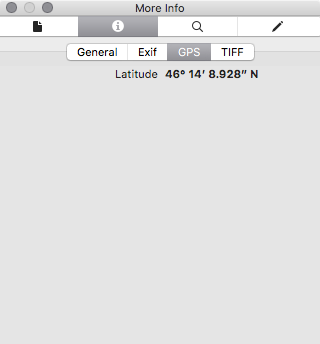 So it would appear that while other tools–Flickr, Google Photos, exiftool, GraphicConverter–can read latitude and longitude values expressed, contrary to the standard, as rational64s, Apple tools cannot. 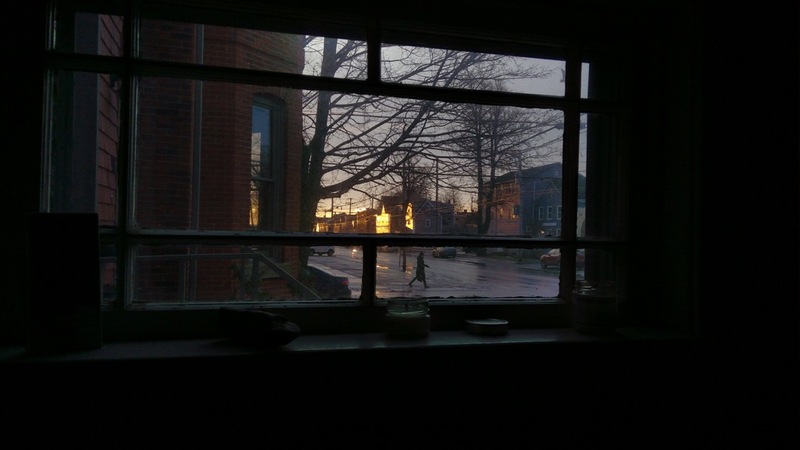 I took a look at a cross-section of my Flickr photos, recently repatriated to my local machine: of 13,542 photos I sampled, 6,612 photos had location data in them according to exiftool; of those, 2,572 photos (mis-)encoded the latitude as a rational64s and 4,040 encoded the latitude as a rational64u. 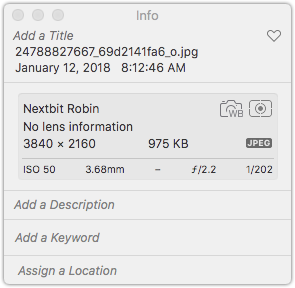 Of the photos with the latitude expressed as rational64s, 2,271 (88%) were from my Nextbit Robin Android phone; interestingly, there are also 377 photos where the latitude from a Nextbit Robin photo is (properly) rational64u, so I wonder if something changed in the EXIF-encoding library on the device at some point. 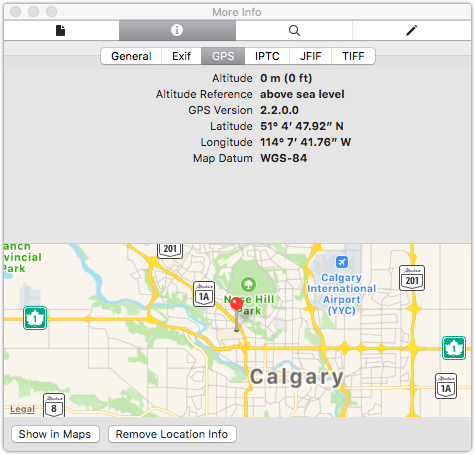 The result is files that Apple applications like Preview and Photos can properly interpret the locations of (while not compromising the ability of other applications to do the same). Written October 4, 2018 at 4:28 p.m.